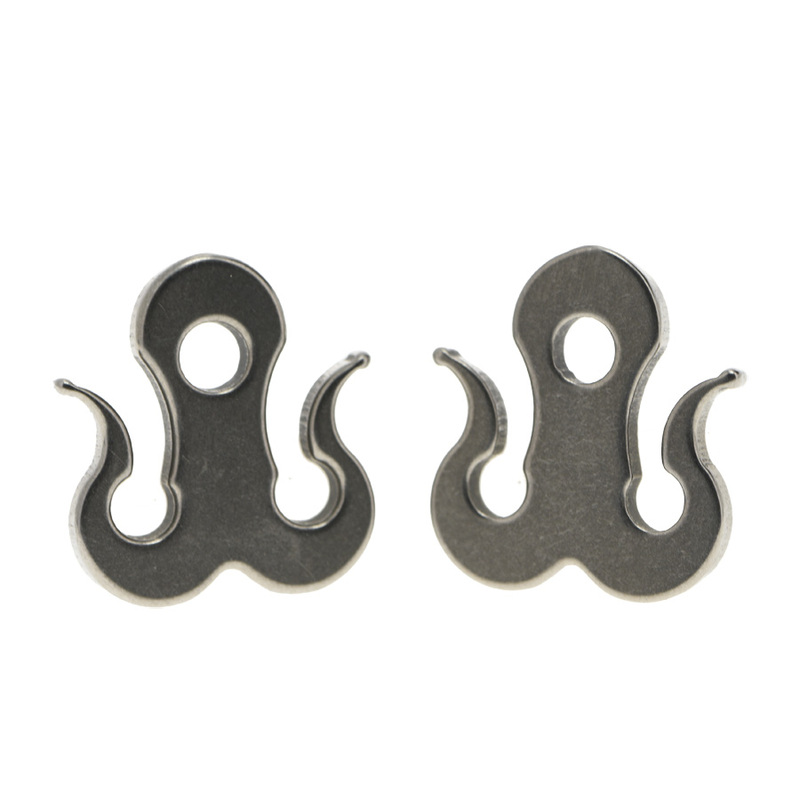 These hooks are robust and made from Titanium and can be used for the apex of a bridge hammock or with the continuous loop of a gathered end hammock. They weigh only 3.4 grams and will hold up to 1000 pounds. They replace the whoopie bead with a hook that will “snap” on to 7/64ths amsteel. These hooks are robust and made from Titanium and can be used for the apex of a bridge hammock or with the continuous loop of a gathered end hammock. They weigh only 3.4 grams and will hold up to 1000 pounds. They replace the whoopie bead with a hook that will “snap” on to 7/64ths amsteel. They are easy to connect, easy to disconnect but will stay on until you unhook them. They come sold as the hardware alone and you can splice them on your whoopie sling yourself or you can buy already spliced on the whoopie slings. They create a waterbreak and make it so you can store your wet suspension separately. It is not recommended to use whoopie hooks with anything but 7/64ths Amsteel. Sold by the pair. 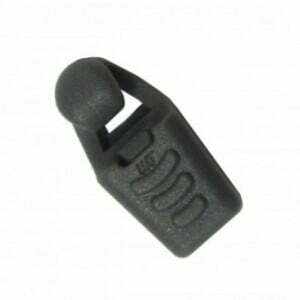 Love these little things so much I ordered a second set for the new hammock winging it’s way to me. 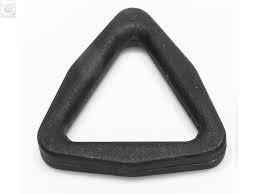 Love these little things so much I ordered a second set for the new hammock winging it’s way to me. 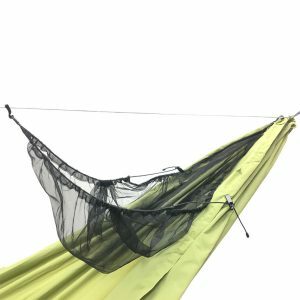 I use them a little different by splicing them onto the continuous loop on the hammock so I can use whatever suspension I want super quick. I have used them with Dynaglide but regularly inspect for damage since these are meant for 7/64 amsteel. Just get them, there’s lots of great uses. 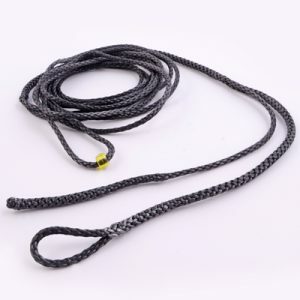 Is there a weight bearing suspension cordage that can be TIED onto these and other dutch suspension hooks instead of spliced? I don’t know how to splice and don’t really want to learn, but I’m good at knots. You can use knots instead of splicing it together however it does degrade the strength and this is why it is preferred to splice.